Lynwood Unified Community Adult School (LCAS) student Henry Velasco was once without food or shelter, but despite those obstacles he made it his goal to return to school and further his education by obtaining his high school diploma and attending college. Velasco’s perseverance is one of the many reasons he was honored as the Association of California School Administrators (ACSA) Every Student Succeeding Program nominee, an honor given to students who have shown growth and gained the knowledge and skills necessary to participate effectively as citizens in their community. 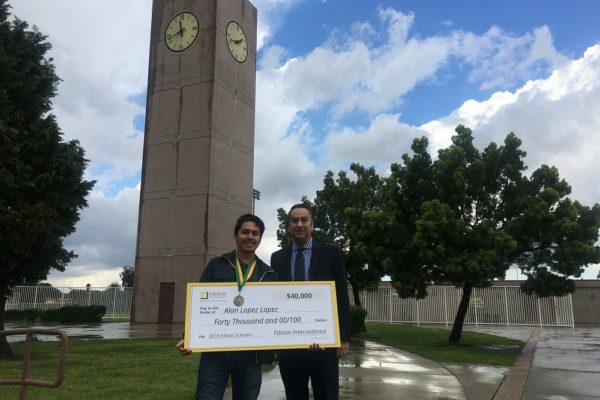 Lynwood High School senior Alan Lopez was awarded the $40,000 Edison International STEM Scholarship, given to just 30 high school seniors pursuing majors in science, technology, engineering and math. 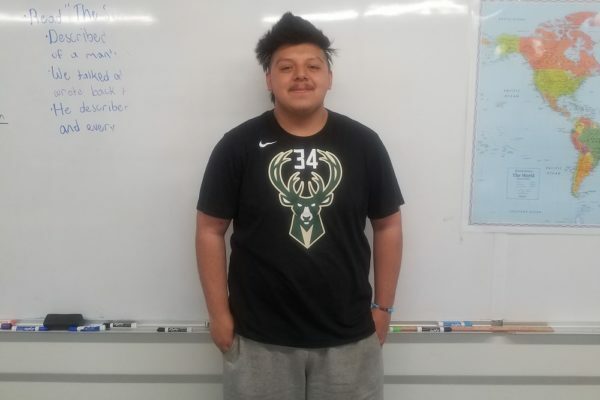 Lopez has a 4.6 GPA and plans to study computer science. Alan’s sister, Abieiden, won the scholarship in 2018. Lynwood Unified School District operates 12 elementary schools, three middle schools and three high schools, as well as preschool, adult education and independent studies programs in a culturally diverse community. Lynwood Unified held a celebration on April 12 for each student selected as an “Every Student Succeeds” nominee, an honor given to students who have overcome adversity to achieve success. Each school had one student recognized during the awards dinner held at Will Rogers Elementary School. Firebaugh High School hosted a Red Cross Blood Drive for students and staff on April 11. The drive was open to anyone 16 and up and promoted a community of giving. The event followed a drive put on by Lynwood High School the previous week. Lynwood Unified School District students put on their dancing shoes and grabbed their musical instruments for the District’s sixth annual Arts Festival on April 6 at Lynwood High School. The free event featured art, music, drama, dance and food. A Ballet Folclórico Do Brasil performance took place as well as a Conga Kids Dance Competition. 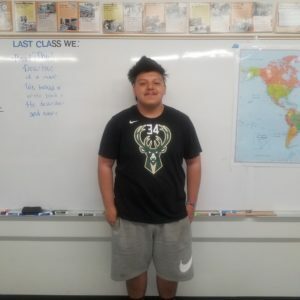 Lynwood Unified Community Adult School (LCAS) student Henry Velasco has been nominated to receive an Every Student Succeeds Program award, an honor given to students who have shown growth and gained the knowledge and skills necessary to participate effectively as citizens in their community. Velasco holds a 3.85 GPA as a full-time student and also works 40 hours. Lynwood High School hosted a Red Cross Blood Drive for students and staff on April 4. The drive was open to anyone 16 and up and promoted a community of giving. All donors received a free American Red Cross t-shirt. Washington Elementary School parents and families learned a student-run lesson in colleges and universities during the school’s College Fair on March 28. Students prepared presentations that showcased college options and answered questions during a tour for those in attendance. 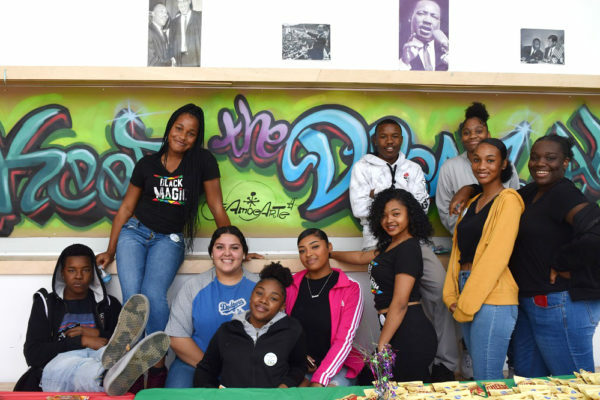 Lynwood Unified School District students will put on their dancing shoes and grab their musical instruments for the District’s sixth Annual Arts Festival from 10 a.m. to 2 p.m. on Saturday, April 6 at Lynwood High School, 4050 E. Imperial Hwy., Lynwood. The event is free and will feature art, music, drama, dance and food. A Ballet Folclórico Do Brasil performance will also take place as well as a Conga Kids Dance Competition. Lynwood Unified will host nearly 100 families for workshop sessions that will empower them to become academic partners with their children while celebrating their community engagement at the District’s fifth annual Parent University event. Dr. Maria Covarrubias, an educational leadership coach and Harvard alumnus, will join Monica Garcia, an advisor for the John Hopkins Center for Talented (CTY), along with LUSD staff and parents in presenting workshops that help families guide their children to success. Workshops will be provided in both English and Spanish. Topics will include getting an edge in English and math; the difference between diagnosis and eligibility in special education; and college and career pathways.